By now, you know that I am a scrub junkie and I love trying out all of the different brands on my mission to finding the best scrubs ever. I also want you to be able to make the best decisions possible when choosing your medical wear and equipment. Nurse Mates sent me some scrubs and shoes to try out, so keep reading to hear my thoughts. Some of the Amazon links are affiliate links so I'll get a percentage of the purchase if you use them! For the scrubs, I am wearing a Maci Top in Small and Brooke Pant in Small Petite, both in Navy. I've found that some scrubs tend to run small or the Petite versions will be too long, so I went with the Small size, but I think these actually run true to size. Whenever I order more, I'll go with the XS, but these still fit fine, and I've been wearing them to work frequently. My most favorite thing on these scrubs are the pockets on the Maci Top. There are so many of them! Not only are there front pockets, which is where I usually keep my pens and phone, but there are also side pockets. It's awesome. For the pants, I really like the zippered pockets, which is nice for holding my credit cards when I run out to get lunch. The petite length with a 29 inch inseam is really great on these. I'm 5'1'' so I either need a shorter version or I have to get my pants hemmed, and ain't nobody got time for that. There is a tall version as well. The color is deep on these scrubs, and they've held up well in the wash with no noticeable shrinkage or fading. The price point on these scrubs is around $25 for each piece, which isn't unreasonable for a high quality set of scrubs with good fit. My underscrub long sleeve tee is the Willow Top in Smoke in XS. Underscrub is great for a few reasons. It keeps you warm in a cold office, and it gives you some protection from any stray bodily fluids that you may come in contact with. It also looks nice! This cotton based top is very lightweight and easy to wear under any scrubs. I love the color of this top and I've been wearing it as quick as I can get it washed. The little embroidered heart on the sleeve is a cute touch too. This top is around $18. Now let's talk about the shoes. These are the new Align Velocity shoes in Grey, and these are my absolute favorite! Nursemates got it right with these. I've experimented with many different shoes since I've been working in medicine, even when I started as a CNA, and I've developed some requirements: lots of support, comfortable all day long, and look cute and professional. These shoes check all of the boxes. I had been switching between Danskos and regular tennis shoes, but the Danskos were kind of hard and made my feet hurt if I wore them too much, and the tennis shoes didn't have the best support. I was skeptical that these shoes would offer enough support based on the appearance, but I was proved wrong, and since I've gotten these, they are all I've worn to work and often outside of work when I'm just running errands. I would 100% recommend these shoes if you're looking for something that will be comfortable and stylish. They are easy to clean and resistant to stains and water. There are many other colors and styles of the "Align" line of shoes from Nurse Mates, and I have my eye on the slip-on style now that I know how great the support is. These are around $90, but so far they've held up well and totally worth it. The elastic lace in the shoe can be replaced with traditional shoe laces as well. I hope that helps to give you some more information if you're looking for scrubs or shoes, and I would love to hear your opinions in the comments below! While Medelita has become well-known for their scrubs and lab coats, they have more recently entered the medical equipment field. As a HIP Ambassador for Medelita, I was able to give their new stethoscope a try. Medelita teamed up with ERKA to create a high quality stethoscope that is an easy competitor for any well-known stethoscope. ERKA originates from Germany and has been around for a long time. They are well known for their stethoscope design and amazing functionality. Aesthetically, the ERKA stethoscope is so nice. There are tons of color choices to choose from including black, red, lime green, violet, ceil blue, pink, light blue, burgundy, dark green, navy blue, light grey, and rose pink. I went with the light grey because I wanted something neutral, and if you were to see my T-shirt drawer, you would find about 10 grey shirts (it's a problem). This stethoscope is very comfortable in the ears and easy to throw around your neck. They also come with a very nice storage case. There are 3 different types of stethoscopes available. The Finesse2 is $100 and is equivalent to a Littmann Classic III. The Precise is $156 and is equivalent to a Littmann Cardiology IV. The Sensitive is $178 and is equivalent to a Littmann Master Cardiology, and this is the type that I chose because it's most similar to what I trained with. When it comes to sound quality, there's no doubt that the Medelita stethoscope is of the best quality. I don't use a stethoscope frequently in dermatology, so I sent this one with my husband to the hospital to try out. He's an internal medicine resident, so it's important that he has a great stethoscope. He was impressed, and now it's uncommon for me to find that my stethoscope has gone "missing." Medelita always offers free shipping and free returns. If you’ve never purchased from Medelita before, use this link to get $20 off of your first $70 purchase when you set up a new account, and use the code PAPLATFORM4 at checkout for an additional 20% off! There's also a 5-year warranty on these scopes. Let me know if you check them out! You guys are probably getting tired of hearing about my favorite stuff, but I feel that part of my responsibility to is to make sure that you're well-dressed and look nice as you pursue your dreams. So today, I would like to introduce you to Maevn Scrubs Eon Collection. These 2 sets of Maevn scrubs were provided to me for free in exchange for my honest opinions. So let's go! Some of the links I've included to these scrubs on Amazon are affiliate links, which means I'll get a little bit of credit to buy more awesome scrubs if you use them. No pressure. The Eon scrubs are interesting because they are made with special "COOLMAX" fabric that is supposed to keep you cool and dry, and also resist wrinkles and shrinkage. For reference, I'm around 5'1'' and 115 lbs. This first pair I got in navy since that's the color of my daily uniform. And since I've been seeing these fancy Eon waistband scrubs all over Instagram, I was pumped to try them out. After wearing these a few times to work and washing them a few times as well, I can honestly say they hold up to wear and tear. They have been christened with exploding cyst already, so we're good to go. The top I'm wearing is the Sporty Mesh Panel Top in XS, and the color of these is "True Navy." This top has some mesh panels (that aren't see through) and lots of pockets. I do feel like it's a little bit long for me, but that hasn't stopped me from wearing them. I don't usually tuck my tops in, but I wanted to show off the cool waistband on these pants. The pant style I'm wearing are the Waistband 7-Pocket Cargo Pant. I was told that these can run a little small and instructed to consider ordering up a size, so I'm wearing a small petite. The length is perfect, and the size fits well too. These are very comfy with the waistband, and still have a drawstring, but also lots of pockets. I do have to say that I love this color. It's almost a gray or slate blue version of navy, as opposed to being in the blue family. Even other people in my office commented on how nice the color looked and noticed that I had some new fancy scrubs. Now for the wine scrubs. This color is my absolute favorite. I love it. If I got to choose a color to wear everyday, it would be wine (or maybe gray). The style of this top is the V-Neck Pocket Top in XS. The pants style is the Full Elastic Zipper Pocket Cargo Pant in XS Petite. These are a much more traditional style of scrubs, and the fit is true to size. Still tons of pockets too. Whenever I'm due for scrubs again, I'm planning on ordering this style in the navy color. Overall, I would definitely recommend these scrubs, and I do plan on getting more in the future. I may get my husband some of the men's versions to try out too! Comment below with your favorite scrubs! I'm really excited to announce that I am now a HIP Ambassador for Medelita. That means that I get to share all of their awesome products with you, and tell you more about why I love them so much. One of my favorite things about Medelita is that it was started by a physician assistant! I love fellow PA-preneurs, and it's really cool to see the impact that Lara Francisco has been able to make in creating high quality medical wear. She took the idea of seeing a problem and finding a solution to the next level. In this particular review, I'm wearing a Medelita M3 Ellody Petite Fit Lab Coat. For reference, I am around 5'1'' and I'm wearing a size 2. In normal clothing, I usually wear a 0-2/XS or Small, and I've found that these run very true to size, and that the size chart provided is accurate. When I first graduated from PA school, I was so excited to also graduate from my short coat to my long coat. It's a sort of rite of passage. I was also extremely eager. I visited the local scrub store, looked at the 2 options available, and picked the one that was the better of the 2. I can't say I was super impressed with the quality, but at the time it didn't matter that much to me. I was a PA! Once I started working, I noticed that my supervising physician's coat was a nice, crisp white and just looked a little better than mine. After a few washes and a couple of months, my white coat was starting to look a little dingy and the already thin fabric was just getting thinner and thinner. I asked her about it, and she said it was by a brand called Medelita. I looked further into Medelita, and I knew I was ready for an upgrade. I was a little nervous about ordering a coat without trying it on, and since it would be embroidered, I wouldn't be able to return it. I used the size charts, took some measurements, and took the plunge. Best decision ever. It's important that your first impression with patients is a good one, and usually that comes from your appearance. I know that I tend to look young for my age (because my patients tell me everyday), so it's even more important for me to look professional. Your white coat can do that. It lets the patient know what your role is, and gives confidence that you are there to take care of them. Or it makes pediatric patients cry, but usually it's the opposite effect. Even if I see a new patient, when I walk in with my white coat on, they instantly know who their provider is. When I received my white coat, I was so excited. The fabric that Medelita has crafted is so nice. It's thick, bright white, and actually repels liquids, which is nice in a field like dermatology (think Dr. Pimple Popper). The Ellody coat is perfect for me because it is a petite fit designed for women under 5'4'' and has a great tailored fit. But if you are blessed with height or a guy, there are options for you too! Medelita has many different designs and styles, so you should be able to find something to suit you. My husband (internal medicine resident) is still jealous that my coat looks better than his, so I may end up having to get him one too. On these coats there are plenty of pockets to hold any equipment you may use on a daily basis, and the pockets are large enough for an iPad. There's no need to dry clean, and even after many washes, my coats have maintained their fresh white appearance, and the embroidery hasn't faded at all. These coats may be a little more pricey than some other options, but I can guarantee you'll be happier with the quality and durability. The current options range from $128-162, but be on the lookout for discount codes by signing up for the Medelita email list or checking their Instagram. Medelita offers embroidery on their lab coats and scrubs. There's the option of 2 lines of print, and 3 different fonts and 18 colors available. It costs an additional $12 or is free for orders over $175. There's also an option of having a logo uploaded on the right side of the coat. This coat was provided to me for review, but I can honestly say that I have been a customer with Medelita for a while, and I don't see that relationship ended for a long time. I will never recommend anything that I don't fully endorse and that I wouldn't pay for, and I can promise you will not regret your decision of purchasing a Medelita white coat. Scrubs are a big part of my life. I spend at least 50% of my life wearing scrubs since I work as a dermatology PA. It's really important to me that my scrubs are super comfy, long-lasting, and I like for them to look nice too. Scrubs can be hit or miss. While I've found some great pairs at Wal-Mart, I've also ordered some pretty terrible ones from Amazon or scrub stores. The scrubs I was sent to try are part of the new Activate line, which advertises 4-way stretch for an active lifestyle. (These scrubs were provided to me free of charge, but all opinions are my own! I only want to share things with you guys that I support, and I want you to have all the info before deciding if you want to buy!) The top I'm wearing is the Med Couture Activate In-Motion V-Neck Top and the pants are Med Couture Activate Transformer Cargo Pants. For reference, I'm 5'1'' and I weigh 115 and I am wearing an XS in the top and XS Petite in the pants. Let's start with the things I love! First of all, these scrubs feel awesome right out of the package. I would describe the fabric as silky with a good bit of stretch. I'm constantly bending down to took at the bottom of patient's feet or to make sure there aren't any funny moles hiding, so I need my scrubs to move and stretch with me. These scrubs are also very light and super comfy, which is awesome for our hot Georgia summers. The style and fit is spot on - really flattering without being too tight or boxy. There is an abundance of pockets, and even some with zippers and snaps. I've been loving using the front pocket as a dedicated spot for pens, and the zipper pockets are nice when I'm running out for lunch and don't want to take my usually massive purse with me. The color is also definitely a true navy. I typically wear navy scrubs at work, and I don't want them to be too light or more of a black navy, and these are perfect. They have some cool lime green accents too on the drawstring and some of the pockets, which I appreciate! The other thing to note is the cost of these scrubs is awesome. They range from around $20-30 per piece, which isn't bad at all for scrubs that are durable and have a good fit. My only complaints, which aren't really a big deal, is that the petite pants are almost too short. Like maybe they needed a 1/2 inch more. The inseam on the petite pants for this particular type is 28.5 inches. That being said, I would rather have scrubs almost too short instead of a foot too long that I would have to get hemmed. I alternate between wearing Danskos or my Nikes, and for this pair of scrubs, I'll stick to my tennis shoes because they're a tad too short with Danskos. I think I would also size up on the top personally. I have what could be called an hourglass shape (AKA - I do have hips.) so the top was slightly tighter around the hip area, but not enough that it would prevent me from wearing these scrubs or even enough that I would want to exchange them. If you're interested in purchasing any Med Couture scrubs, you can check out their online scrub shop or order them on Amazon to use that awesome Prime free 2-day shipping. Also make sure to follow @medcouture on Instagram so you don't miss out on any promotions! Comment with your favorite scrubs so I'll know what kind to try next! **This post does contain some affiliate links, which means if you click on the link and make a purchase, I get a few cents to keep my site running! While there isn't a ton of information out there in the blog world, and many of them do not stay recent, if you look hard you can find some good posts. Here is a list of the blogs I've been able to find, so let me know if you run a site or know of any others! I'm A PA - A site from the AAPA, and their blog does update a few times a month, and you could write for them if you have an interesting perspective. Jay the PA - A firsthand look at what it takes to become a PA from the Pre-PA stage to being accepted and starting school! With Ashley Kay - Ashley is a current PA student sharing her journey through school. She has beautiful photography on her site as well! 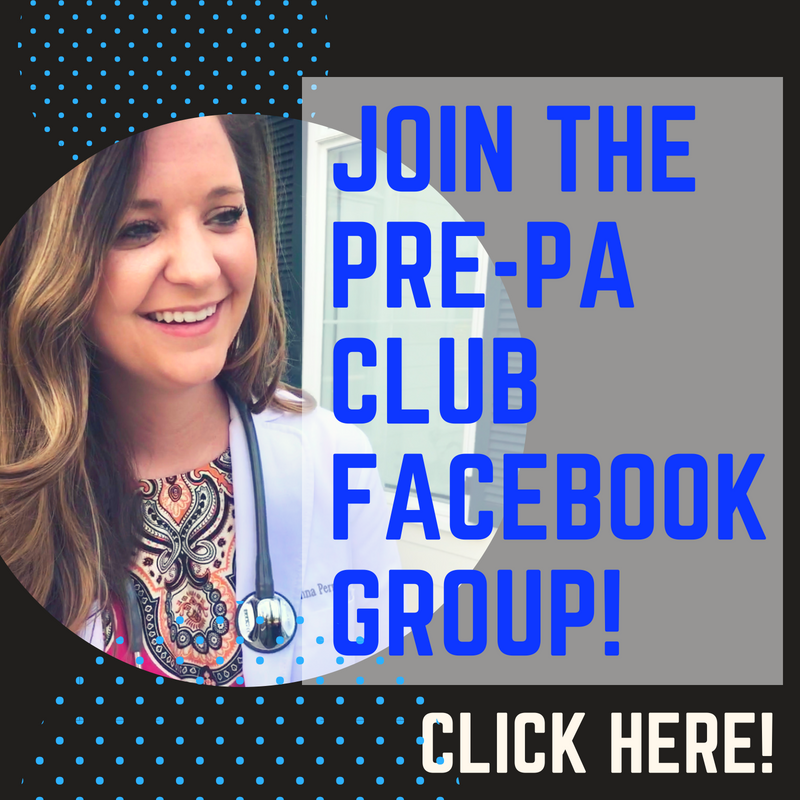 White Coat Clutter - Stephanie is a PA who is transitioning to dermatology and shares a ton of tips for Pre-PA students and current PA students. Life as a PA - Andrea is an amazing Pediatric ICU PA who is very open about sharing her lifestyle and giving back to the PA profession. Make sure to follow her on Snapchat too! Meghan in Medicine - Meghan is a soon-to-be PA student who is doing an amazing job showing the details of how she's accomplishing her goals. The PA Life - Jourdyn is a current PA student at UW-Madison blogging about her time while in PA school. Reddit Pre-PA - Not exactly a blog, but more like a forum to ask questions to an active community and look up information that others have asked about in the past. PA Boards - This is a great resource with so many options - podcasts, blog posts, PANCE review, YouTube videos, and even an app! Musings - The JAAPA blog. This is a great resource to stay up to date with issues facing PAs. ADVANCE for NPs & PAs - They have a few different blogs, including one for students and one for new grads. Lauren Does Life - A new blog with an awesome looking site. Lauren has just started her clinical year of PA school and it looks like there are some great posts coming in the future! Lindsey's PA Blog - Lindsey is currently a PA student at Albany College and has been writing periodically about her experiences there. Hay the PA - Hayley is a PA student at University of Kentucky and she has a beautiful site where she shares tips for both PA school and living a healthy lifestyle. PAs RISE - A resource for pre-PAs, PA students, and physician assistants where they have access to interesting reads, mentorship, and FOAMed (free open access medical education). 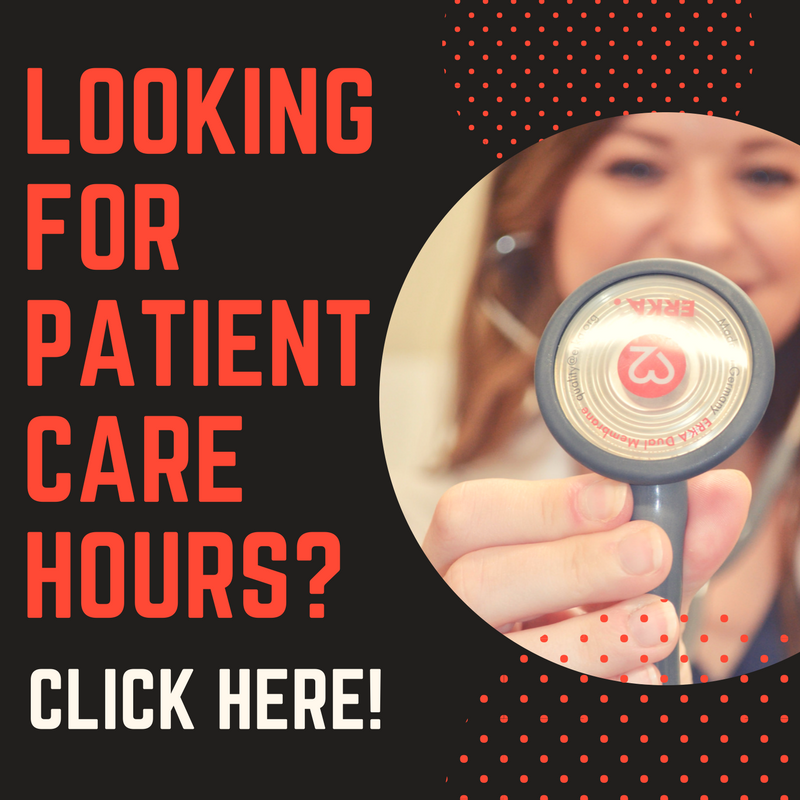 This site encourages the PA community to contribute their thoughts, expertise, and opinions while shining a spotlight on the advances PAs and students are making within the community. The Organized Undergrad - Follow Emily's progress through undergrad as she works towards a profession in the medical field, and tries to make decisions between pursuing PA or MD. PA Fanatic - Brittany is transitioning from a Pre-PA to PA-S, and sharing all of her tips and advice along the way. 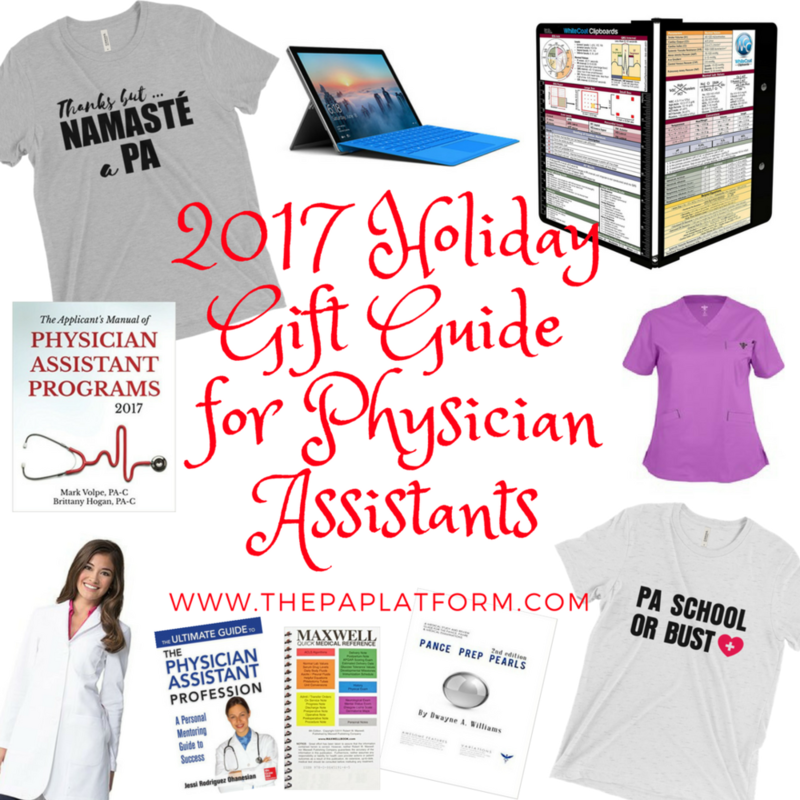 Physician Assistant Blog - A blog with unique posts that are a little different from the typical things other sites write about. The authors also wrote the PANCE/PANRE Study Guide, which is a resource to use during school and when studying for boards. AP the PA - A new blog from Aashna, a student who is about to start PA school. Great information so far! 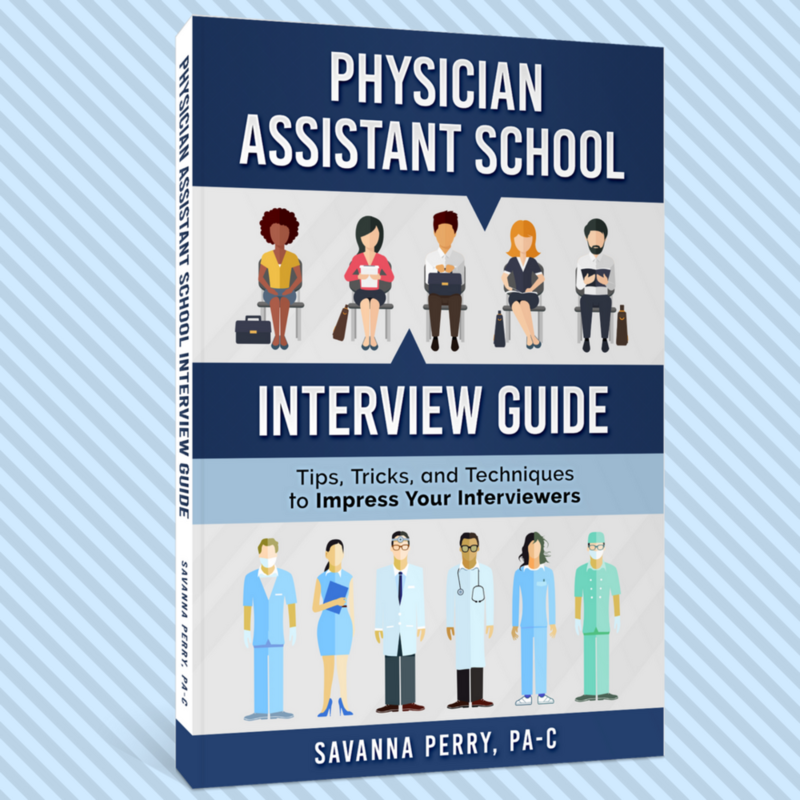 Pre-physician assistant blog - A bunch of interviews with various students and PAs. Especially helpful if you're interested in schools in Texas. The White Coat Investor - The best blog for financial advice if you're working in medicine. Not specific to PAs, but definitely helps everything to be slightly less confusing and provides great resources. Physician Assistant, Finally There - Not updated recently, but a lot of information from school and resources as well. Women in Surgery - This is not specific to PAs, but seeing as there are plenty of women PAs and PAs doing surgery, it's a great reference. Food, Fitness, & Family - Although the title may not seem to fit, this is a blog of a current PA student and how she survives. And shes's a mom! 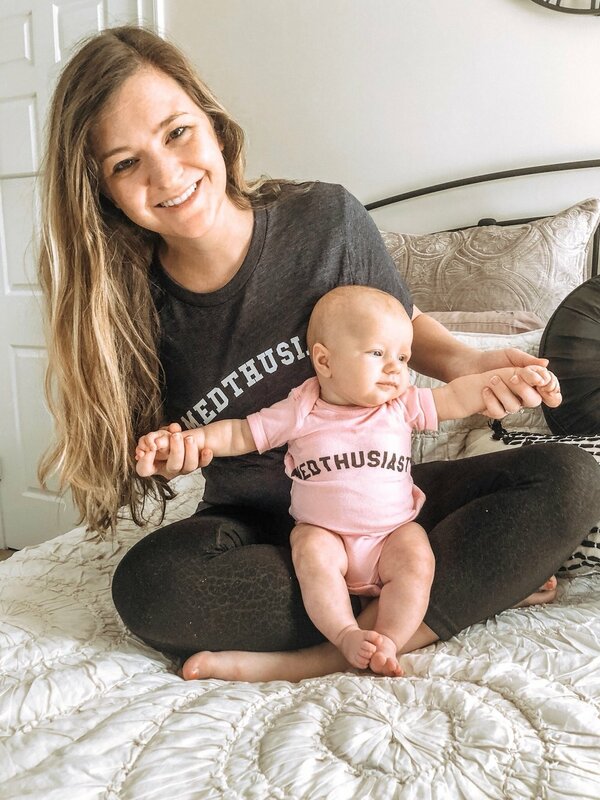 PA-C Hustle - A PA and mother, and how she balances both jobs. PA Journey - Follow along with a PA student on the journey to becoming a PA.
xohollyd - Holly is currently in her didactic year of PA school and provides updates on her blog so you can see what it's like to go through PA school. Apple A Day PA - Demi is currently in her clinical year at Florida International University in Miami, and she blogs about her experiences and offers advice for clinicals. White Coat Dreaming - Alex is in her 3rd year of PA school and on the tail end of clinicals. She has some great advice from fellow students and throws a personal touch into her posts too. Lynzy and Co - Definitely more of a lifestyle blog, but Lynzy is a mom, but also a part-time PA. She does a great job showing how she balances life. The PA Pursuit - Chelsea is a PA student who has beautiful pics on her site and her Instagram as she offers advice to hopeful PA students. White Coat Whitney - Whitney is a second year PA student sharing advice about PA school and for Pre-PA students. PA-Cents - A new kid on the block that is discussing all things having to do with the financial side of PA school and being a PA. If you have any questions about money stuff specifically for PAs, make sure to check it out! 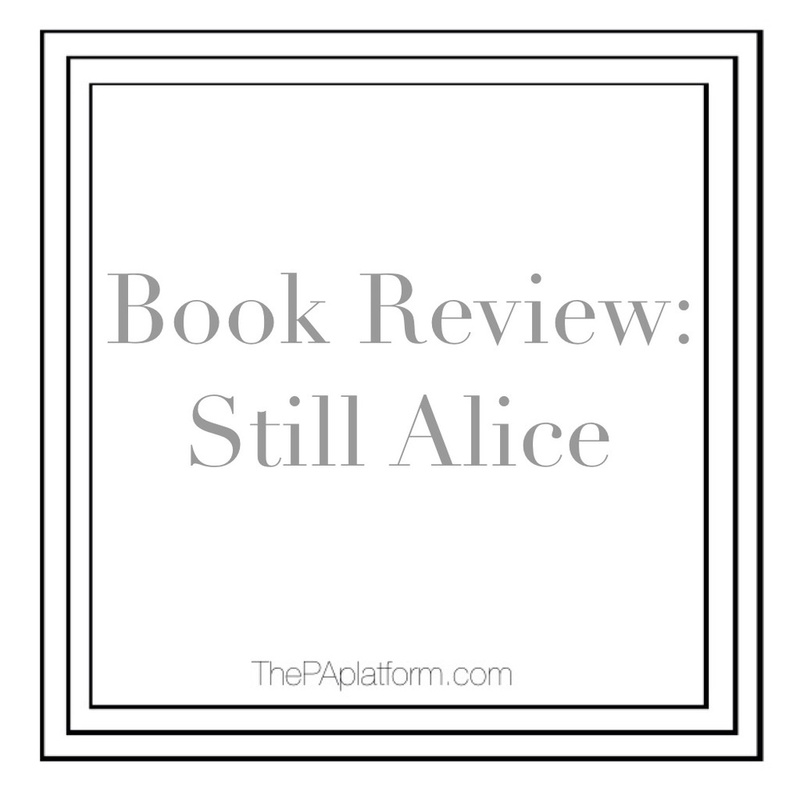 I finished Still Alice by Lisa Genova yesterday, and it surprisingly didn't turn out to be quite as sad as I had expected! The premise of this book is a psychology professor at Harvard is diagnosed with early-onset Alzheimer's and it goes through her journey from pre-diagnosis, diagnosis, and progression of the disease, as well as her family's reactions. 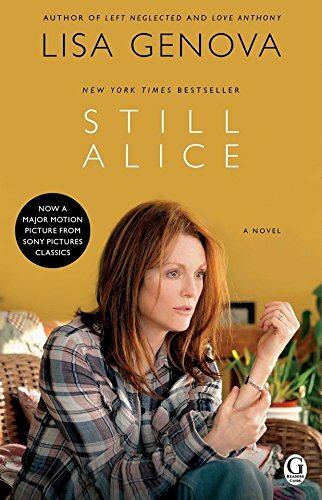 As an intelligent woman, Alice has a very difficult time with coming to terms with her disease. This book paints a very accurate picture of how Alzheimer's may affect both a patient and the patient's family. Alice starts by normally living her life and will just occasionally have some lapses in memory, but it's not until she gets lost on a route she runs daily that she realizes something is wrong. Alzheimer's starts with the small things and slowly progresses to be a debilitating disease. This book gave me much more empathy and understanding as to why Alzheimer's patients experience some of the symptoms they do. Distrust was a big one, and I love the way this book showed how that can happen. The brain is so powerful that it's almost scary. When first finding out about the possible diagnosis, Alice's husband says, "I think you jumped the going to see a neurologist. He looks at your set of symptoms and sees Alzheimer's, but that's what he's trained to see, it doesn't mean he's right." This stood out to me because I think this is how a lot of patients feel when they go to the doctor, so it's our job to instill trust in our patients so they feel that we are treating them as individuals, and not just a disease. As a PA student, Still Alice gives a great view of patient-doctor relations and multiple Mini Mental Status Exams (MMSE). These are simple tests that can be done to judge a patient's cognitive function, and the decline is seen very clearly in this book. It also discussed treatments that are being used currently for Alzheimer's. Alice describes it this way - "Alzheimer's disease was an entirely different kind of beast. There were no weapons that could slay it. Taking Aricept and Namenda felt like aiming a couple of leaky squirt guns in the face of a blazing fire." This book gave me hope that the research being done presently will result in a cure and better medications for Alzheimer's, and hopefully sooner rather than later. This article shows that they have found changes of Alzheimer's occur much sooner than symptoms show up, so treatment could be starting much sooner as well. In Alice's case, if treatment had begun earlier, it could have potentially slowed down the disease process. I definitely recommend this book for anyone in the medical field or interested in medicine, or anyone who wants a better understanding of what exactly Alzheimer's entails. A movie was recently made from this book as well! If you're looking for some recreational reading with a medical twist, here are some options that I highly recommend. These are 2 books that I read before starting PA school, and I think anyone interested or involved in the medical field should read these books. They are written by Dr. Atul Gawande. Gawande is a surgeon so he can definitely relate, and on top of that, he's an incredibly skilled writer. Easy to read, and makes you think. 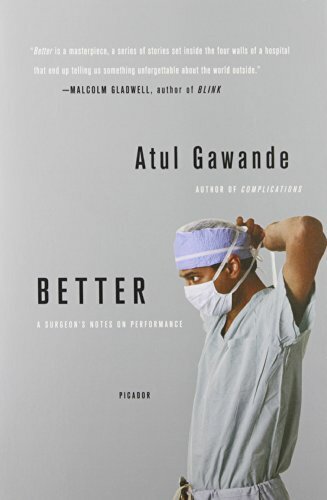 Both Better and Complications address issues facing the medical field and Dr. Gawande's opinion on them. I don't necessarily agree with all of his opinions, but they have helped me to form my own. And if you have some extra time on your hands, here are some other books that I'm reading or are on my list! I'm going to do some more detailed book reviews in the future, but comment below with any books that you recommend!